Make your own glass cleaner from ingredients you probably already have in your cupboard. 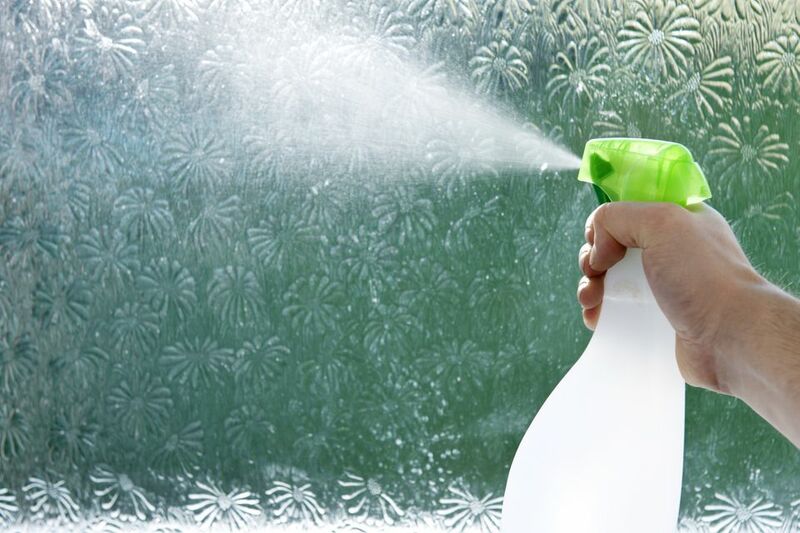 You don't have to spend big bucks on a cleaner that may have chemicals you don't like, and frankly, that doesn't work any better at getting your windows clean. Once you make the switch to homemade glass cleaner, you'll be able to reuse the same spray bottle again and again instead of buying a new bottle every time you run out. Having less to dispose of is better for the environment than any "green" cleaner you can buy at the store. Ready to give homemade glass cleaner a try? Here are two ways to make it. Fill the spray bottle with equal parts vinegar and water. Then use as you would any store-bought glass cleaner. If you'd prefer a fragrant spray, you can make scented vinegar. This cleaner evaporates quickly so you don't end up with spots, is inexpensive and works as well as most commercial glass cleaners. Use one cup of rubbing alcohol, one cup of water, and one tablespoon of vinegar per batch. Fill the spray bottle and use as a glass cleaner. Store in a cool cabinet away from any heat source because the alcohol makes this mixture flammable. Use newspaper instead of paper towels or rags to clean glass. It's the secret to streak-free windows. If you don't subscribe to a newspaper, pick up discarded newspapers at a neighborhood coffee shop or breakfast cafe. Do not reuse empty cleaner bottles. Buy a new bottle for your glass cleaner. Both vinegar and alcohol act as solvents and will pick up any traces of other chemicals that were in an old spray bottle. Even if you have a degree in chemistry, it's wise to avoid unwanted chemical interactions. With a new, clean bottle you won't have to worry about unintended reactions. Always label the contents of your cleaner bottles. Label it clearly in big letters with what is in the bottle. "Vinegar Glass Cleaner" or "Rubbing Alcohol and Vinegar Glass Cleaner" are good labels. It is also wise to add the date when you mixed the ingredients. If you aren't getting good results, that date might tell you why. Keep all glass cleaners out of the reach of children and pets. The ingredients can be irritating, and rubbing alcohol is flammable. Store cleaning products separately from cooking ingredients. You don't want to confuse rubbing alcohol with drinking alcohol or use diluted vinegar in a recipe. You'll be buying vinegar by the gallon once you see all the ways you can use it around the house. Besides being a good cleaner, vinegar can be used to make health and beauty products, to get rid of pests, and even to unclog a toilet.